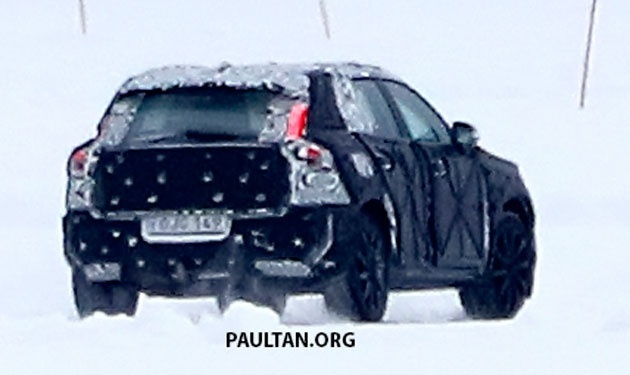 First spotted testing in October 2015, the upcoming Volvo XC40 has now been spotted wearing its production body, undergoing cold weather testing. 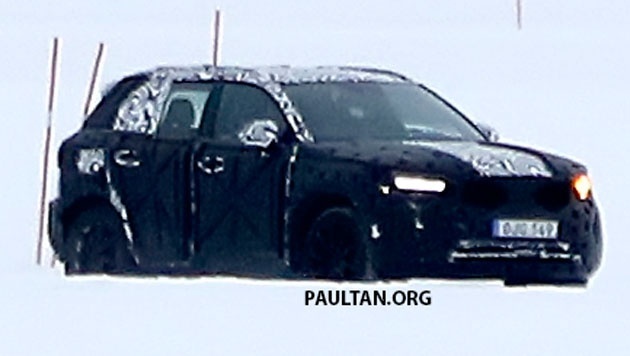 Underpinned by Volvo’s Compact Modular Architecture (CMA), the XC40 will be the first of the new 40-series Volvos, and is expected to make its debut at the Shanghai Motor Show in April. It appears similar to the concept, drawing from current Volvo design language. Volvo’s smallest XC model isn’t reaching the market until 2018, according to research and development boss Peter Mertens, though when it does, the compact crossover is expected to significantly boost the Swedish automaker’s sales volume, what with its reliance on SUV sales. Volvo’s competitor to the likes of the Mercedes-Benz GLA and the BMW X1 is expected to start retailing from 30,000 euros (RM142,730). Under the skin, the upcoming XC40 is expected to launch with Volvo’s existing range of four-cylinder petrol and diesel engines, with the new, three-cylinder petrol engine set to be paired with an electric motor for around 250 PS and 400 Nm in total system output. The three-cylinder engine will also feature on its own as an entry-level unit. Later on, the Volvo XC40 is also expected to feature a fully-electric powertrain, with and expected range of 350 km. The full EV variant is expected in 2020 earliest. Future Proton XC40, grorious motherrand! Yes, our first 4-WD when P1 is taken over & price it around 140k. Am sure many M’sian will want to support our national car new partnership especially when it’s safe to drive.